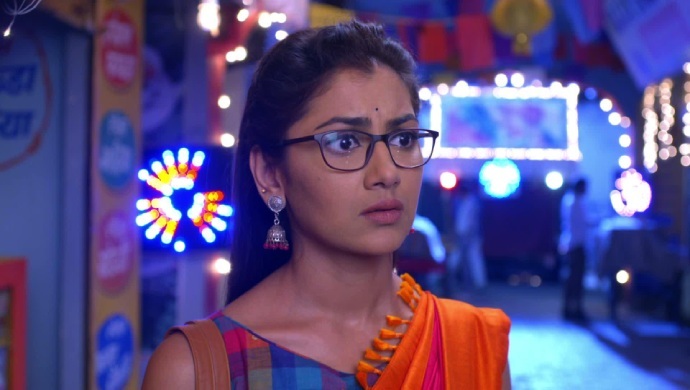 In tonight’s episode of Kumkum Bhagya, Pragya and Prachi are kicked out of the house by Chachi. They look for a home in the middle of the night. A shopkeeper sets them up with a home that is dirty and in bad shape. She asks them to clean up the place if they want to stay there for cheap. Mira tells Abhi that Daadi didn’t sleep all night. She is sad that Abhi doesn’t believe that she met Pragya. In the next episode, Abhi goes up to Daadi and tells her that he is sorry for not believing her. He says that he believes Pragya was at the temple even though he doesn’t believe it. He also tells Daadi that they will go out to search for Pragya. Prachi and Pragya are standing across the street taking to each other. Pragya crosses the road to be with Prachi when a car comes from nowhere and hits her. Will Pragya survive the accident? Stay tuned to find out.